In my life, I have many things to be proud of. Behind all of the success is my husband; a strong, loving, US Army soldier. Being an Army wife can be a difficult thing at times. There are no perfect days, but there are perfect things that happen every day. I love Skyler more than anything in the world, and I love that he has served our country and continues to serve our country. Together, we have two beautiful children, Averly who is 6 and Marcus who is 2. Recently, our family has been blessed with a PTSD service dog from Dog’s Helping Heroes. Her name is Lyric, and she is a two-year-old Belgian Malinois. Although many people argue that being double jointed isn’t real, I am actually able to portray many attributes that display otherwise. Due to extra elasticity in my muscles, ligaments, and joints, I am what some people would call double jointed! If you had one wish to be granted in 2018, what is the wish and why? I would wish for health, happiness, and success for my family. We are always making memories together, but when everyone is happy, healthy, and successful, the memories we form are more meaningful! 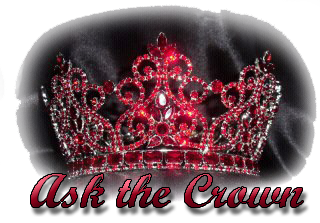 Tell us about your pageant/industry or what you would people to know about your company/organization/platform or yourself. As Mrs. Knox County, I will represent Knox County for the first time at the Mrs. Indiana Pageant in South Bend, Indiana on April 21, 2018. If selected as the winner, I will go on to represent the state of Indiana at Mrs. America in August 2018 in Las Vegas, Nevada. The Mrs. America Pageant is a beauty competition that was established to honor married women throughout the United States of America. 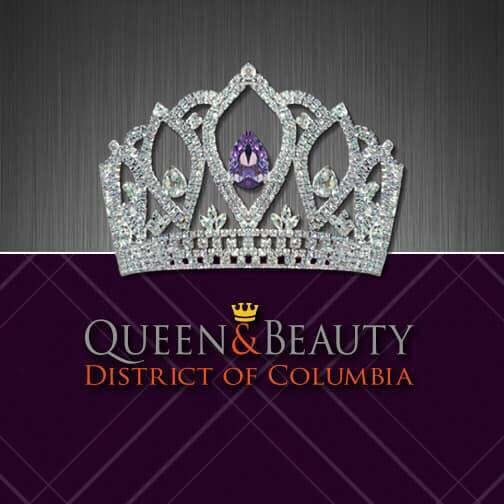 Each of the contestants representing the 50 states and the District of Columbia ranges in age from their 20s to 50s and earns the right to participate in the national event by winning her state competition. These state events are under the direction of Mrs. America state directors. The winner goes on to compete in the Mrs. World pageant. My family and I currently reside in Vincennes, Indiana after being relocated due to my husband's military service in June of 2015. I am a Home Based Case Manager with Children and Family Services, am a Cardio Kickboxing Instructor and Ring Girl for American Karate Do Kickboxing, and a Team Leader for the March of Dimes, all in Vincennes. 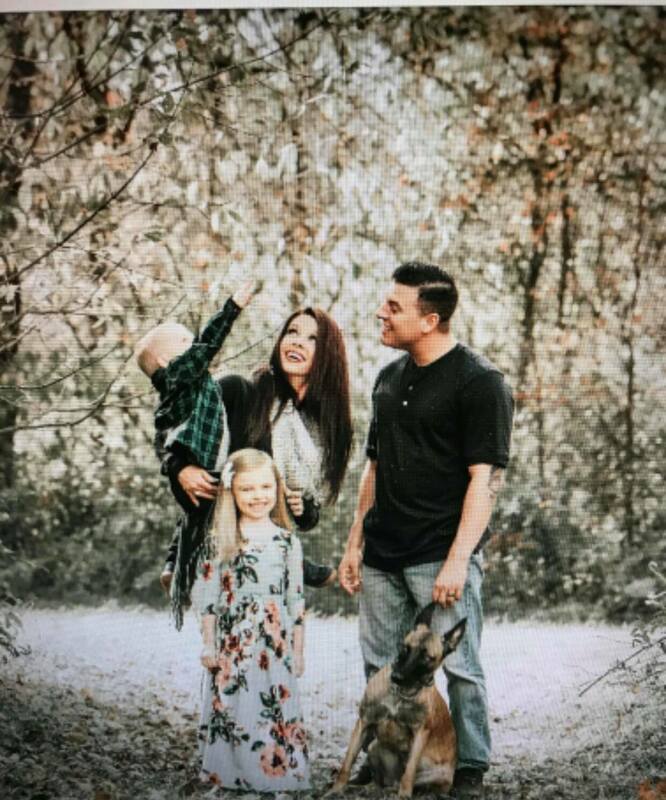 My husband is SSG Skyler Dorsett of the United States Army, and he is currently a recruiter after serving 6 years as an infantryman and deployed to Afghanistan twice, where he received a Purple Heart. Skyler and I have two children; Averly, a first-grade student at South Knox Elementary, who is 6, and Marcus, a student at Kingdom Kids Childcare Ministry, who is 2. We have also recently been blessed with receiving a service dog from Dog's Helping Heroes for Skyler named Lyric, who is a 2-year-old Belgian Malinois. As Mrs. Knox County, I promote married women, family relationships, and give back to the community by volunteering at events and functions, going to parades and schools, and speaking to the media. It's a really great way for married women to get out in the community, represent their state, and give back to their hometown at the same time! My service is geared around my platform of "More Than Just an Army Wife", focusing on strengthening physical and mental health, strengthening families, and strengthening marriages. A few of the events that I have participated in or will be participating in will be the Wreaths Across America at the Vincennes, Indiana cemeteries, the annual Christmas tree lighting on Main Street in Vincennes, Indiana, the annual Christmas parade in Paris, Illinois, and the March of Dimes- March for Babies event at Vincennes University in Vincennes, Indiana. Some past events that she attended were the Be at Ease event for Dogs Helping Heroes in Louisville, Kentucky, the Ride for a Cause event for Dogs Helping Heroes in Clarksville, Indiana, the Indiana Military Museum in Vincennes, Indiana on Veteran's Day, the Celebrity Chili Cook-Off with the United Way in Vincennes, Indiana, the Veteran’s Day Salute at North Knox High School with the United Way in Vincennes, Indiana, the American Karate Do Kickboxing MMA Veteran’s Day Bash at the Linton, Indiana National Guard Armory, the Vincennes Christmas Parade on Main Street in Vincennes, Indiana, and the Miss Vincennes University pageant in Vincennes, Indiana. I have a wonderful group of sponsors as well! I am sponsored by American Karate Do Kickboxing of Vincennes, Indiana, Dogs Helping Heroes of Clarksville, Indiana, Capelli Salon of Terre Haute, Indiana, Magic Dreams Productions of Barrington, Illinois, Desert Rose Designs of Tucson, Arizona, and Ladies of Leadership with Crystal Cavey in Plano, Illinois. 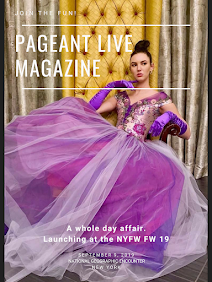 What’s your passion/interest outside pageantry? Outside of pageantry, I enjoy my work both at Children and Family Services and American Karate Do Kickboxing. Being an inspiration and motivation to other women is, by no means, a “one size fits all” scenario. However, I inspire and motivate women by leading by example. I show them that no matter what obstacles may be in your path, dreams and goals can be achieved if you work for them. A perfect example of this would be in my cardio kickboxing class. As an instructor, it is important to take each woman’s abilities and goals into the mind and help them strive for 110%. I lead them by always being positive, and congratulating them on their successes. Sometimes a simple pat on the back or a “way to go” does more for women that can be seen by the eye. I also love giving back to my community. As a team leader for the March of Dimes, I promote awareness and collect donations in order to educate others on the importance of understanding the severity of premature birth. As a mother to a child who was born nearly two months early, it is important to share our story if it helps another family. 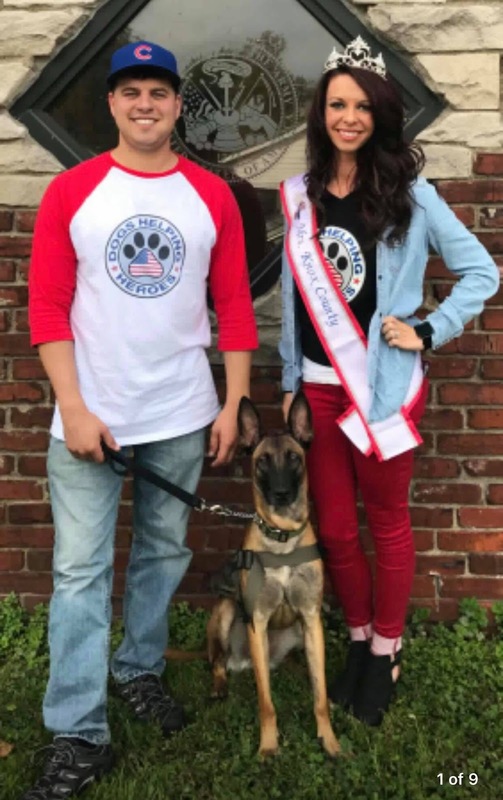 I also enjoy spending time with our Dogs Helping Heroes family by going to community outings and educating others about the importance behind the job of a service dog to a military member. Being a part of the action allows us to give back to the organization that blessed our family with Lyric to help my husband, Skyler. Above all, spending time with my family is a must. We love going out to eat, playing at the park, going to theme parks and water parks, and going to the movies together! When we are together, we are always forming memories no matter what activity we may be doing. At such a young age, my children, Averly and Marcus, are very impressionable, and setting a good example for them to look up to is a must. Please follow my journey to Mrs. Indiana America by visiting my Mrs. Knox County Indiana Facebook page. I have also set up an e-mail address in order to communicate with members of the community.